Below is an interview of Dr. Marcus Papadopoulos by Iran’s Quds newspaper on Russia’s military standpoint on the crisis in the Middle East. Q: How extensive are the changes in Russia’s approach towards the Middle East in light of the defeat of ISIS? Dr. Marcus Papadopoulos: Firstly, ISIS has not been totally defeated yet. There are ISIS pockets east of Palmyra, on the border of Iraq (in the Kurdish zone) and in the Golan, close to the occupied Golan Heights. Furthermore, since the illegal Turkish invasion of Afrin, ISIS has begun a fightback, mainly against the Kurds. Whilst it is extremely unlikely that ISIS will reemerge in Syria as the force it once was – because of the grievous losses it has incurred at the hands of the Syrian, Russian and Iranian militaries, together with Hezbollah – we must not be complacent about this abominable Wahhabist terrorist group, which stems from Saudi Arabia. We can only truly rejoice once every ISIS terrorist in Syria has either been liquidated or taken prisoner. Due to ISIS being on the verge of a total defeat in Syria, which is largely on account of Russian firepower, ordinary people across the Middle East are increasingly looking to Russia as a safeguard against the menace of Wahhabism, which threatens the very existence of Muslims and Christians, alike, in the region. Russia prevented ISIS from achieving its goal in Syria of turning the country into a massive springboard upon which to conquer most, if not all, of the Arab world, including North Africa. Had ISIS succeeded, then the Middle East and North Africa could have been turned into a massive playground for sadists and perverts. But, alas, that was not to be because of Russia. Ordinary Arabs, Kurds, Iranians and other groups in the Middle East know that the US, UK, Turkey, Saudi Arabia and Qatar have been supporting ISIS – this will not be forgiven or forgotten by them. Conversely, those same people know who saved them from that scourge – Russia. So the Russians now have a wide appeal in the Arab world and in Iran. Russia is back in vogue in the Middle East. Russia has set a precedent in Syria for all Arabs to see: that Moscow will stand by its allies no matter what. Q: To what extent were those changes brought about by the crisis in Russia’s relations with the West? DMP: Russia was compelled to act in Syria because of the attempt by the West and its regional allies to overthrow the Syrian Government and replace it with a Wahhabist one (we must not forget that all of the terrorist groups in Syria are Wahhabist in nature – from ISIS to Al-Qaeda to FSA and so on and so on). 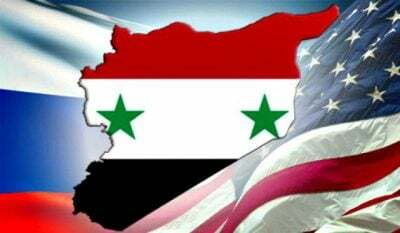 Moscow and Damascus have been close allies and friends for over half a century, and this relationship has been mutually beneficial, for it has given Syria tremendous security, while affording much influence and power to Russia to exert in the Middle East. Had Russia not militarily intervened in Syria – which was carried out legally as the Syrian Government asked the Russians for assistance – then it is very likely that Damascus would have fallen to the Wahhabist terrorist groups, which would have meant the annihilation of the Syrian people and the end of Russian influence and power in the Middle East. That said, however, Russia also acted in Syria for humanitarian reasons – to prevent the Syrian people from apocalyptic destruction at the hands of Wahhabism. And Moscow has sent extraordinary amounts of food, water and medical supplies to meet the needs of those Syrians who have now been liberated from the terror of Wahhabist occupation. Finally, Russia understands that the threat of Wahhabism in Syria is also a threat to Russia and other parts of the Soviet Union, most notably Central Asia, which is in Moscow’s sphere of influence. Neutralising Wahhabism in Syria has the double-effect of helping to neutralise Wahhabist activity and appeal in Russia and Central Asia. The West has only itself to blame for its ever deteriorating relations with the Russians. It is the US and the UK who will not tolerate a strong Russia in the world and who will do anything, including targeting Moscow’s allies, such as Syria, in order to try and derail Russian resurgence. The world has become an exceptionally dangerous and unstable place because of the lengths which Washington and London will go to so as to maintain American global hegemony. Q: What are Russia’s economic, political and security interests in the Middle East? DMP: Like America, Russia has economic, political and security interests in the Middle East. In economic terms, Moscow is looking to increase its defence exports to the region, gain further access to investment capital, intensify cooperation on oil prices, increase agricultural exports, especially wheat, and sell more metal, including iron ore. Further to that, Moscow may direct some of its Muslim regions, such as Tatarstan and Chechnya, to spearhead Russian economic expansion in the Middle East. Politically speaking, the Kremlin understands that America will remain the dominant foreign force in the Middle East, as it was even during Soviet times. Nonetheless, there is every reason for the Russians to believe that they can renew Soviet-era friendships, principally with Palestine, Iraq and Yemen, while forging new inroads in countries which are well within Washington’s political orbit, such as Turkey, Israel and Saudi Arabia. Regarding the last point, whilst the Russians can make significant amounts of money through business dealings with the Turks, the Israelis and the Saudis, these three countries will remain steadfast in their commitment to America – nothing can break the alliance between America, Turkey, Israel and Saudi Arabia, which, incidentally, could soon come up against another alliance in the Middle East: Moscow-Damascus-Tehran. Alas, the Middle East will remain a most coveted region. Finally, in terms of security, the Kremlin will want use its new leverage in the Middle East to try and keep Wahhabism in check. Wahhabism was behind the terrorist campaigns in Chechnya, Dagestan and Ingushetia during the 1990s, and many Saudis went to those regions to fight, including the infamous Ibn al-Khattab. Whilst the North Caucasus is today a far more stable place than how it was during the 1990s and early 2000s, it remains quite fragile and could quickly again become Russia’s bleeding wound, threatening the territorial integrity of the Russian Federation. Q: Do Russian activities in the Middle East represent a challenge to the West? DMP: Yes, without a doubt. The Americans now have to look over their shoulder, so to speak. Like in Soviet times, Russia is again the second strongest foreign force in the Middle East. But, as I said earlier on, Russia will not usurp America’s position as they key outside power in the Middle East. The vast majority of Middle Eastern countries are in America’s sphere of influence, from Turkey to Israel to Jordan, to Iraq to Saudi Arabia to all other Gulf countries. Q: What are the means and limits of Russian influence in the region? DMP: The Kremlin’s means are military, economic and cultural (using its Orthodox faith and its Muslim regions to appeal to swathes of people in the Middle East). Turning to limits, this is simple: economics. If the Russian economy remains stable, then Moscow will be able to continue with increasing its hand in the Middle East. But if the Russian should go into recession, then Russian plans in the Middle East will be severely curtailed. It is economics that helps to explain America’s stranglehold of the Middle East. Nothing can surpass the Dollar. This article was originally published by Iran’s Quds newspaper. Dr. Marcus Papadopoulos is a frequent contributor to Global Research.